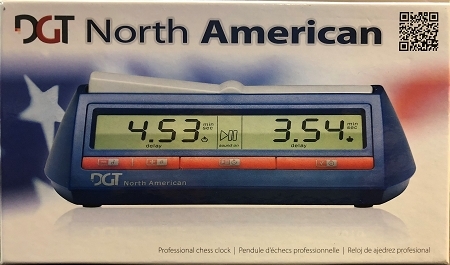 The DGT NA (North American) clock uses 10 built-in algorithms to give a complete range of timing choices, plus elegant design to satisfy the most demanding chess player. Handles all chess tournament settings. Increment or Delay. Even multi-period delay settings are easy! Quick-set options permit instant set-up. 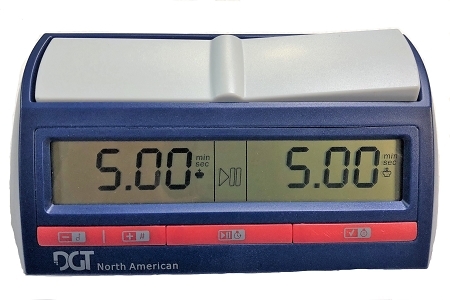 Manual programming options are fast and intuitive and are automatically stored in memory. Of course digital timer is a superb chess clock, but it also times any two-person board game like Go, Shogi, Checkers, and Scrabble. 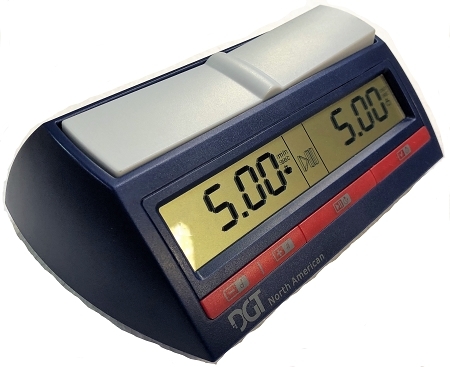 All the bells and whistles, together with DGT's reputation for quality and accuracy! Requires two AA batteries, included! 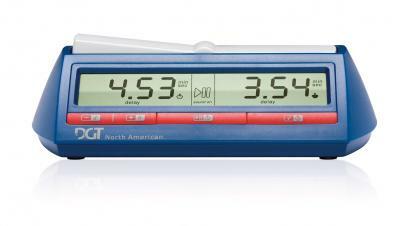 Clock dimensions: 7 1/2'' long X 2'' high X 4'' deep. 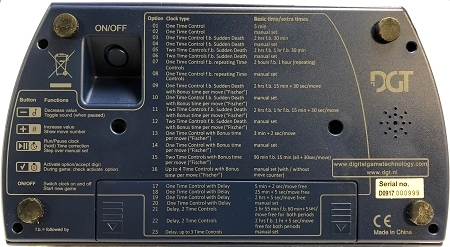 Set delay controls for two or even three time periods!